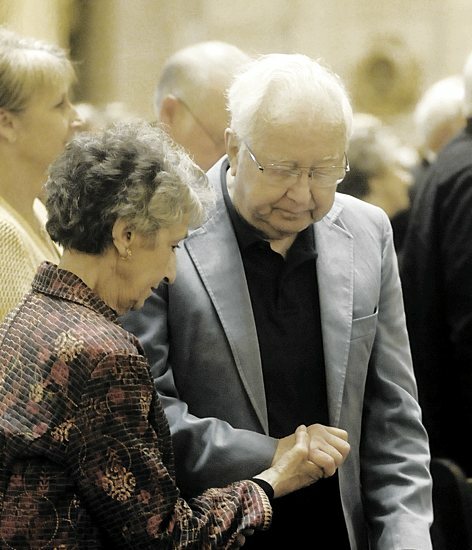 Bishop Lee Piché’s parents, Leroy and Cecilia Piché of St. Charles Borromeo in St. Anthony pray together after they renewed their vows. They are celebrating 56 years of marriage this year. 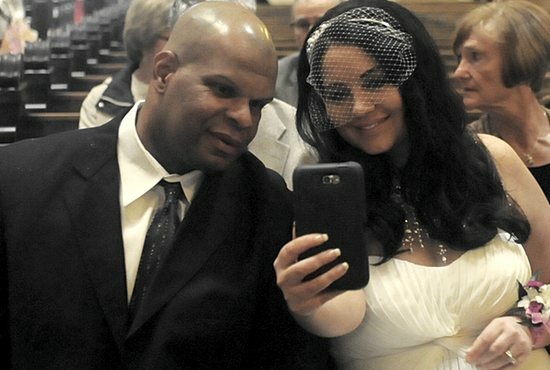 Carlos and Celena Martinez of St. Agnes in St. Paul, celebrating two years of marriage this year, took a selfie before Mass. Archbishop John Nienstedt visits with Vincent and Leona Arceno of St. Pascal in St. Paul after the Mass. 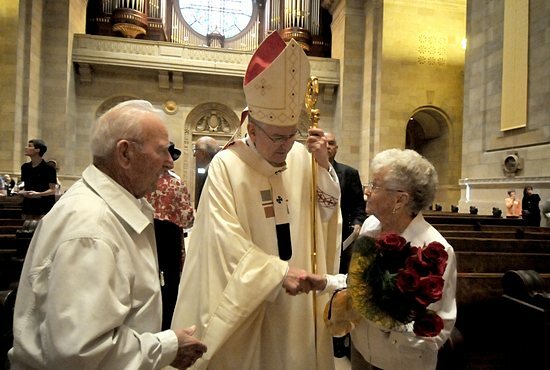 They were recognized during the Mass for celebrating 71 years of marriage.